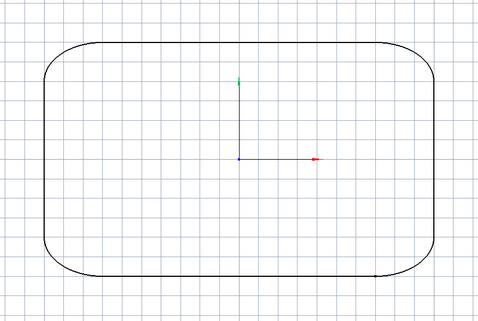 Let us see an example of profile construction that contains ellipse elements. where a and b are the scale coefficients along the X and Y axes (major & minor axes). In the parameters assignment window, in the corresponding fields there are parameter values for creation of an ellipse quarter, which is located in the right top corner of the profile. 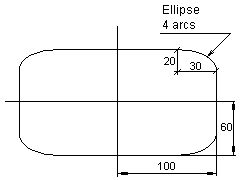 Complete the construction of the ellipses in the other corners of the figure. 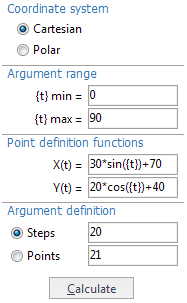 Next, construct profiles by using the two extreme points of the ellipses and join the 8 resulting profiles.